Black Lightning has a new villain. Recently, DC Comics announced Marvin “Krondon” James III has been cast in the CW’s upcoming TV show. 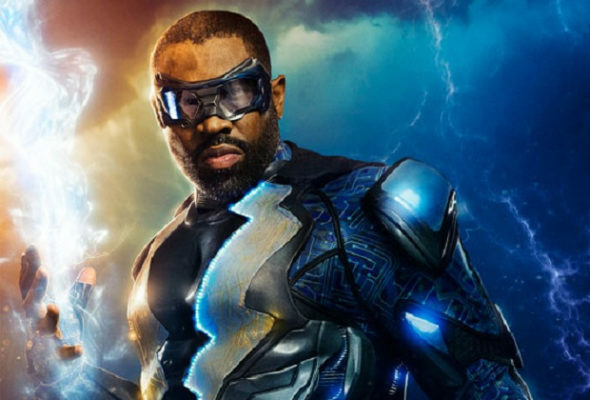 Based on the DC comics, Black Lightning centers on Jefferson Pierce, a former superhero who returns to crime fighting because of his daughter, Jennifer. The cast includes Cress Williams, Nefessa Williams, China Anne McClain, and Christine Adams. On Black Lightning, James will play Tobias Whale, a corrupt politician and fearsome gang leader who murdered Jefferson’s father, Alvin. The CW has not announced a premiere date for the series yet, but Black Lightning is expected to debut in 2018. Warner Bros. Television announced today that they’ve cast Marvin “Krondon” James III in the pivotal role of Tobias Whale for the first season of Black Lightning, their eagerly anticipated new #DCTV series based on the groundbreaking comic book hero. Described as an African-American man with albinism, Tobias Whale is the leader of Freeland’s most feared gang – The 100. But in the days before Black Lightning, Tobias was a politician, rising up the ranks of local government through corrupt and illegal means. That was until he was brought down by Alvin Pierce, Jefferson’s father. Enraged, Tobias murdered Alvin and was driven underground into exile. It’s here he found a place to rebuild, growing into the violent and methodical leader of The 100 as we find him today. But Black Lightning’s recent return has ignited Tobias’ desire to emerge from the shadows and face his biggest adversary, Jefferson Pierce AKA Black Lightning. Of course, much of this is likely to sound familiar to anyone who’s read the classic Black Lightning comics. Tobias Whale has been a part of Black Lightning’s world from the very beginning. A large, often overweight figure, Tobias was first introduced alongside Jefferson Pierce in 1977’s BLACK LIGHTNING #1 and has gone on to serve as one of Black Lightning’s most persistent villains. As the leader of The 100, he’s had his sizable hands involved in just about every underworld activity you can think of, and on occasion has found himself running up against Batman as well as Black Lightning. While Tobias appeared in 2013’s animated Beware the Batman, his recurring role on Black Lightning will be his most prominent non-comic appearance so far. If Krondon isn’t a name you’re familiar with, you may need to look toward the world of music rather than TV. Born and raised in South Central LA, Krondon (KRNDN) is a solo rapper and the front man for Strong Arm Steady (SAS), who recently released his debut album, “Everything’s Nothing.” Prior to that, he wrote tracks for artists including Snoop Dogg, Dr. Dre and Xzibit. What do you think? Are you a fan of the Black Lightning comics? Will you watch the new CW show?